Blog Posts EAT YOUR VEGETABLES! Please click here for information and to purchase tickets for the NYC Eat Well Stay Well 2019 One Day Immersion on May 26th! Loved your 2 night class! I’ve heard so many good comments from our participants! It was an eye awakening for many, that a plant based diet can be so delicious! Thank you very much! Thank you for your inspiration and guidance. You have made my transition so much easier and enjoyable. I just got my blood tests back and my glucose was 92, down from 114, and A1c was 5.5, down from 6.1 pre-diabetic. I wish I went vegan 20 years ago. My total cholesterol is also low, at 103, with triglycerides at 95, HDL at 42 and LDL at 42. I do, however, take 20mg of Lipitor daily. Hopefully, I’ll be able to get off of it. Best organization I had ever joined for in less than 3 months, I changed my prediabetes to normal. Sharon is an excellent teacher and skilled in interactive cooking classes, but more than that, explains each step she takes in creating foods and recipes which we all can do, and is on hand to answer questions with solutions as we move our health challenges to healthier lives. I am so glad I took the risk to move myself to making these new steps, and seeing the results and weight come off is a miracle for me. Her enthusiasm and passion comes into play and between she and her tips and her dad Carl’s story, both saved me for if her dad took courage to admit his bluff, I can do exactly as he changed his ways. Me too! Sharon McRae is a wonderful, well-prepared instructor. I especially liked her enthusiasm and her willingness to share not just recipes, but also products that making cooking easier. I contacted Sharon not long after I adopted a mostly plant-based diet, looking for nutritional advice, as well as ways to incorporate my new diet into my family’s meals. Sharon gave me clear, sound and practical input on dietary needs, meal planning, food shopping and cooking techniques. She also helped me create an exercise routine and encouraged me to explore meditation and other forms of stress relief. When I first changed my diet, I was making the usual, standard American meals for my family (such as chicken, a green veggie and potatoes), while eating whatever parts of the meal was vegan. Thanks to Sharon, I completely changed my notion of what a dinner had to look like, and now (at home, at least) my whole family eats a vegan diet almost exclusively, and without any complaints! The health benefits of this way of eating have been great. I stopped taking daily allergy medications, my joints aren’t aching, and I effortlessly lost 10 pounds. Despite all that, I don’t think I could have stayed on this path had I not had Sharon’s support and encouragement! Sharon is a wonderful listener, a great teacher and a true professional. I have learned so much from Sharon. For instance, I became diabetic last winter along with having high blood pressure and high cholesterol. With Sharon’s help and eating a small thing like oatmeal for my breakfasts, I have been able to lower my blood sugar and my blood pressure. I even add walnuts or strawberries or blueberries to my oatmeal sometimes. I had been eating all day long. Sharon suggested to change eating cookies to eating carrots. I don’t feel as bloated and it is crunchy, which helps to satisfy those cravings. Sharon is walking encyclopedia. She has a wealth of knowledge. I would suggest that anyone who has an eating problem, is snacking on less nutritious foods, or even is not sleeping well at night, to contact Sharon; she will straighten you out. I recently had an opportunity to work with Sharon McRae one on one with regard to managing my health. When I began with Sharon I truly thought I had no options that appealed to me with respect to healthy food choices. Sharon taught me that my food options are endless. I have an issue with gluten so my main problem was finding meals that were satisfying without using the many products that contain gluten. I love to cook so Sharon would frequently email me recipes to try. Sharon is so easy to talk to and does not force any diet on you. Sharon has a wealth of resources she uses to show the many areas of being healthy – not only in my gut but also in my brain. Using the many food options I have been able to change my eating habits as well as my exercise habits. Sharon talked about her love of yoga and how it has helped bring balance to her very hectic life. Soon after I met with Sharon I too began doing yoga – and love it!!! I always knew that I had a supporter AND a cheerleader on my side with Sharon as she was always available for a little pep talk or some new product or recipe to try. I have learned so much from Sharon since she has been my health coach. The first thing she did with me was to listen to me during my personal health consultation. She gathered all of my information and then made her recommendations. Sharon helped me to realize that I had way too much sugar in my diet and that was one of the main reasons I could never reach my weight loss goals. She really helped me to identify why I want to lose weight and have a healthier lifestyle beyond the vanity. Once we identified those she helped me to use those reasons to encourage myself and maintain consistency. She even takes the time to call or e- mail me to check in with me on how my exercising and eating are going. She continues to be my resource on things like “what can I use to grind flaxseed” to “how many cups of green tea should I drink daily”. She has also given me numerous tips on healthy eating with recipes and other things I need to include in my daily life. She truly focuses on lifelong changes so that I stay on track realizing that I am not on a “diet.” I am encouraged by the time she continues to give me and I would recommend her to anyone who is serious about making lifelong changes to achieve their goals! One of the main reasons I sought Sharon’s services was because I felt that food was controlling me rather than the other way around. 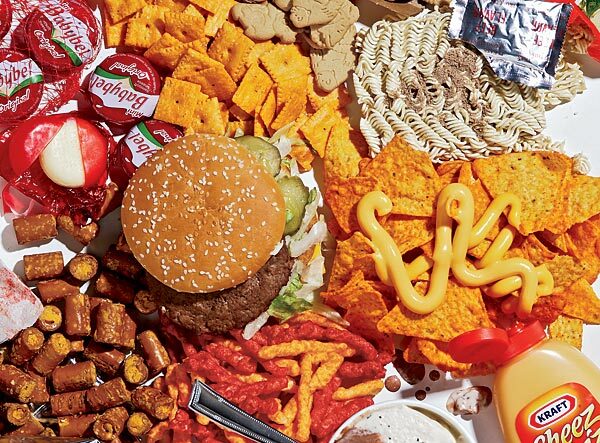 I felt addicted to junk snack foods, particularly carbohydrates. This was of concern to me since my blood sugars run in the high, normal range and I have high triglycerides. Eating too many carbohydrates can aggravate both of these problems. Sharon explained to me the concept of “crowding” out the bad foods and replacing them with healthy choices, which eventually gives our bodies more of the nutrients it needs and, thereby, reduces unhealthy food addictions. Well, Sharon’s words were just that – words. However, within several weeks of making healthier food choices, I no longer felt addicted to carbs, and it wasn’t a painful withdrawal like I had anticipated! I thought I had a decent baseline knowledge of what it means to eat fairly healthy. But I have been quite amazed at how much Sharon has taught me. She is a wealth of knowledge! She has truly opened up my eyes so that instead of resenting eating healthier, I prefer it. I still have a ways to go in terms of eating healthier on a more consistent basis. But Sharon is wonderfully supportive and nonjudgmental about what change I’m capable of at a given point in time, and she is flexible in her approach/recommendations when I hit a roadblock. Sharon’s passion about eating healthy is infectious – and that’s one “disease” I don’t mind catching. When speaking with Sharon in July, 2010, I told her that I was concerned because my entire body was itching. The only way to make the itching go away was to take a Zyrtec every evening. She said “just try to cut out dairy for a week. If you don’t see a difference and you like dairy, start eating it again.” So, I started my experiment on July 25, 2010. By 9:00pm that evening I looked at my boyfriend and said, “I’m not itching!” I cannot believe it only took me one day to see a difference and I can honestly say I have never taken another Zyrtec. Soon thereafter, I realized I was very excited to not be dependant on a medication, however, now I was not adapting well to my new diet. Foods that I had enjoyed eating in the past were no longer in my diet. I immediately called Sharon for help. I conveyed to her the foods that I was craving and missing terribly. To name a few, I missed pizza, a family favorite spinach soufflé, and chocolate pudding. She helped me to find replacement food items in order to follow easy and delicious recipes. Sharon is an amazing listener and cares deeply about the health of others. She made me feel happy and healthy… did I mention I love cooking and the food is satisfying and delicious. Sharon thanks so much for all of your advice. I have now been dairy free for a year! Subscribe to my MailChimp mailing list to receive updates and follow me on social media!